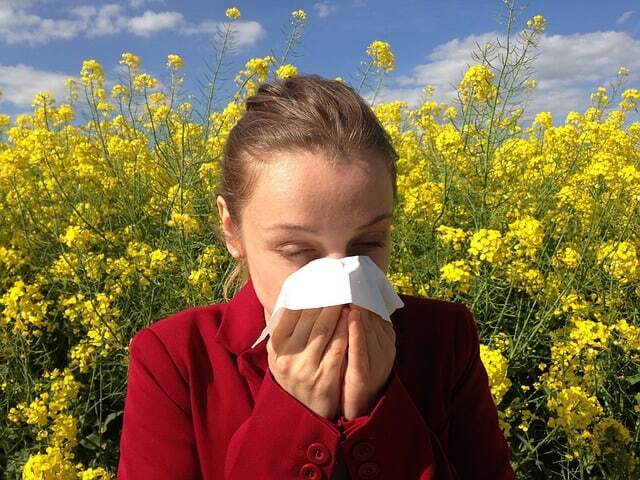 Nobody enjoys the annoying symptoms of allergies. The stuffy nose, watery eyes, and constant nasal drip are enough to make some people do anything they can to avoid their allergens. At our dental office in Madison, we’d like to give you just one more reason to hate your allergies. The truth is, the symptoms related to allergies can also affect your oral health. Perhaps the biggest way allergies affect oral health is by causing dry mouth. When our noses are too stuffy to breathe out of them properly, we resort to the next best thing: breathing out of our mouths. Mouth breathing really slows down saliva production and leaves your mouth feeling uncomfortably dry. And when the mouth is dry with no saliva to help wash away bacteria and neutralize acids, your teeth are left exposed. This can make you more likely to have tooth decay, chronically bad breath, or can even lead to gum disease. Gum disease, if left untreated, can affect the rest of your body by increasing the risk for stroke, heart disease, and heart attacks. Mouth breathing is such a concern for your dentist in Madison that it’s worth talking about the other ways it can affect your dental health. Whether mouth breathing is caused by allergies or not, the truth is it can even cause changes in appearance and developmental problems in children. When kids habitually have to breathe out of their mouths instead of their noses, it can influence how their teeth develop. Children who suffer from allergies also tend to suffer from crooked teeth which may require braces or other orthodontic treatment. Don’t stop any medicines without first discussing it with your healthcare provider. If you are suffering from allergies or dry mouth perhaps caused by them, it’s evermore important to maintain regular visits to our Madison dental office. Appointments every six months can help catch any potential dental issues caused by dry mouth and treat them before they lead to the need for advanced treatment or cause pain.